Lirava is a sparkling mare by International Grand Prix-stallion Capri Sonne jr from Laura Tomlison (GBR) out of Zarava by the International Grand Prix-stallion Scandic. 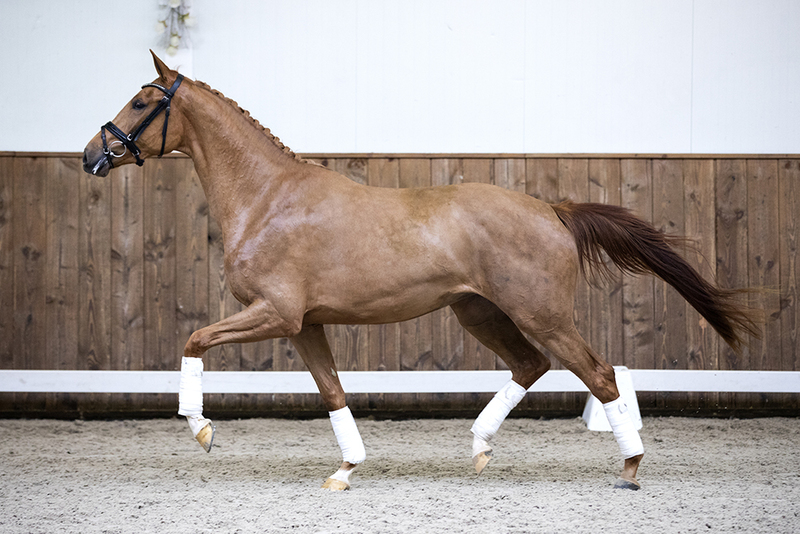 Dam Zarava is also mother to the aprroved stallion Giovanni (by Chippendale) who finished fifth in the finals of the World Championships of the seven year olds. Lirava is a “ster and D-OC” mare and scored 75 point for her conformation and 85 point for both trot and canter. Lirava could be a super sport horse but she is also extremely suitable as broodmare. This dam line already produced very good performing dressage horses that score strikingly during the competitions.